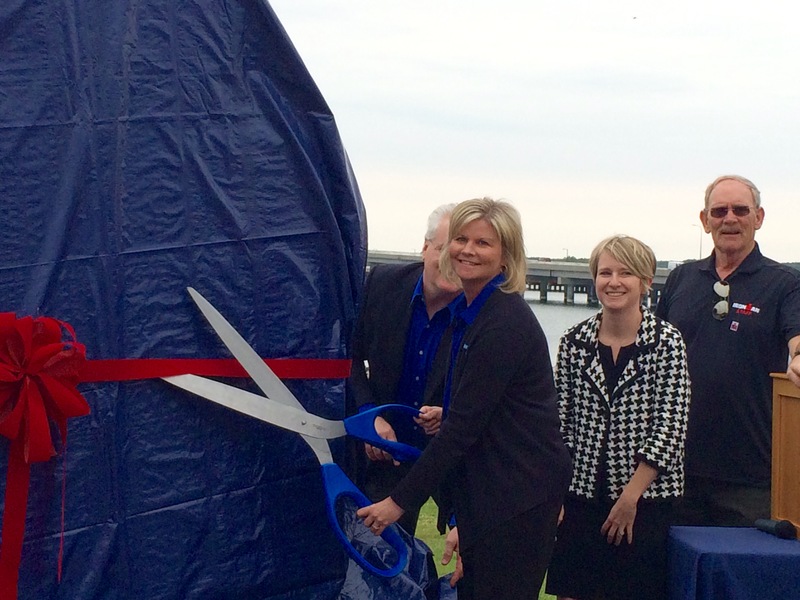 IRONClub Maryland, the non-profit organization formed to support large-scale, high-impact endurance events in Dorchester County, today released the results of an economic impact report revealing that the 2015 IRONMAN races attracted 3,500 participants and generated almost $5.5 million for the region. The findings were announced at the Dorchester Visitors Center during a morning reception recognizing new sponsors and board members including an unveiling of a locally fabricated metal IRONMAN sculpture. 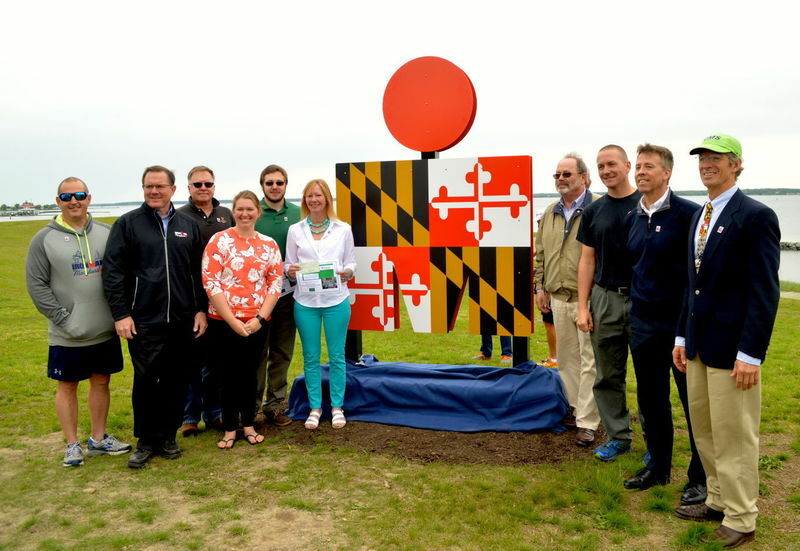 Cambridge International President and CEO Tracy L. Tyler joined area business and government leaders to applaud the economic benefits and reveal the large, three-dimensional IRONMAN sculpture with a new, Maryland design. Fenstermaker recognized new 2016 IRONClub members including the Hyatt Regency Chesapeake Bay and the Nathan Foundation, who each contributed $5,000 to support the event. She welcomed Cambridge Multi-Sport President Michael Keene who introduced new Club member Sara Lettelleir. Keene and Letteleir used the occasion to announce the recipients of CMS’s scholarships of $1,000 to seniors from each of Dorchester’s two high schools. The recipients, Patrick Geleta and Austin Loeffler, were recognized for their dedication to academics, athletics and community service. 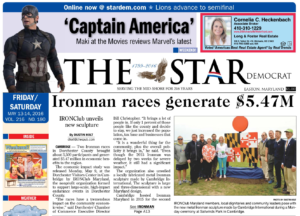 IRONClub board member and Dorchester Chamber of Commerce Executive Director Bill Christopher explained that the IRONMAN sculpture overlooking the Choptank Lighthouse was one of the most photographed spots of the race – as well as the featured cover image on the Chambers 2016 Member Directory. He invited Tracy Tyler to help ‘cut the ribbon’ on the new sculpture with Race Director Gerry Boyle. To learn more about the economic impact study or to join IRONClub Maryland, visit: www.visitdorchester.org.